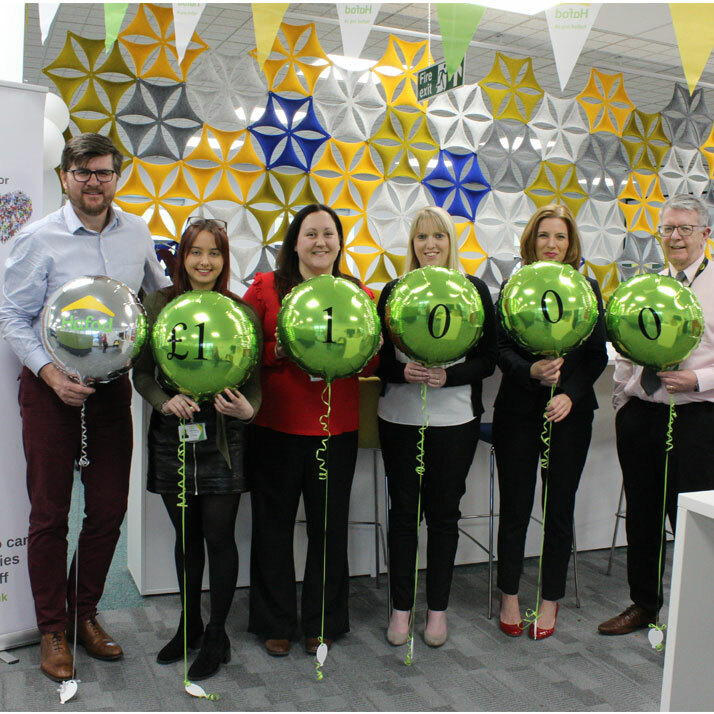 Our colleagues have raised a whopping £11,000 over the past year for our chosen charity partner, City Hospice. Our fundraising team have organised a number of events including a Christmas raffle, bake sales, a poetry competition, dress down days, a Pen y Fan sponsored walk and much more. The finale of the fundraising year saw our colleagues dress to impress on the red carpet at a fabulous gala ball. Liz Andrews, Chief Executive of City Hospice, visited us this week to say a big thanks. She said: “We are so grateful to Hafod for all of their wonderful fundraising efforts over the past year, £11,000 will mean so much to the services we can provide. “We look after patients at the end of their lives, provide counselling support to patients and their families as well as lots of other ways in which we can enrich their lives and make sure that they have the best quality of life possible. City Hospice is Cardiff’s local hospice who cares for patients with cancer and other life limiting illnesses, and their families. Their specialist services are there to help people understand what is happening to them, explain their choices and support both them and their families for as long as they may need.